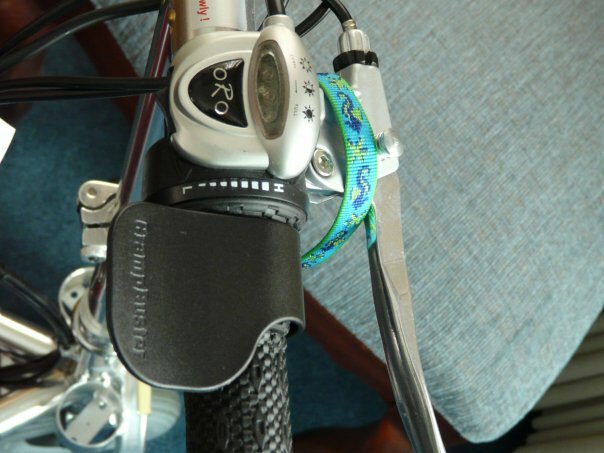 From Rhonda: The Crampbuster is really easy to install on my TravelScoot (and remove, if necessary). I used it today at Lowes and I'm not sure why but I was amazed at how little pressure it took to make the scooter go. It feels very natural. I definitely give it the "thumbs up" and would recommend it. From Bee: Okay ours came and Sarge LOVES it, mine slips so I had to use the rubber thingy that came with it in case it slips but his didn't slip. I like it pretty good but seriously, he loves his!!! Thanks so much! The real reason I got my scooter was to go to parades. I will admit it was VERY cold each time I went out so you'll see layers upon top of layers. My friends Loved not having to carry anthing. I did pretty well getting around. Most people were very nice. Just like ya'll I had a few people who were obvilious. People would move aside so I could get to the back and about 5 people would go in front of me. Eventually, I would yell, "Excuse me," then they'd let me through. Some people are just a little slow. I've learned not to let it bother me. What did get to me a little was all of the non-family people with our group wanting to help me lift the scooter, put it in my car, etc. I haven't used it that much, so I'm still learning exactly the best way to put it in Stripe. I keep having to tell them I need to learn. 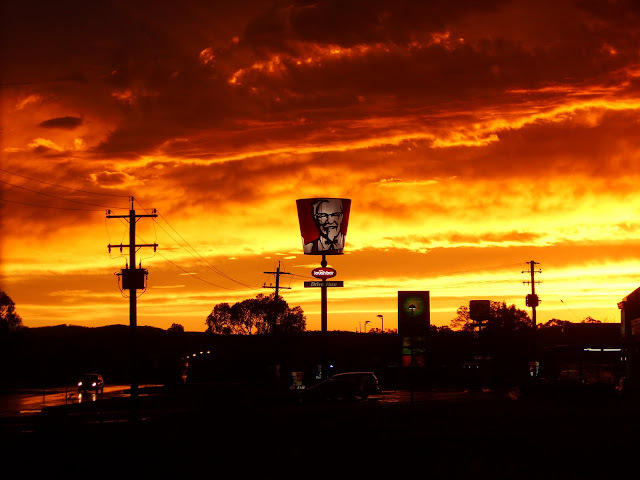 Most of them were fooled by just how light it is. Jimmy, the parrot, was a great hit with my great nieces and nephews. The all had to squeeze it and when they were in the ladder they'd call down, "Aunt Peggy, squeeze the horn, Pleeeeease!" I squeezed Jimmy so many times, I wonder how it still works. Like children, they accepted Silver without blinking an eye. I'd tell them I couldn't do all of the walking anymore but still wanted to be around them. The most I got in response was "Oh." Kids are great. 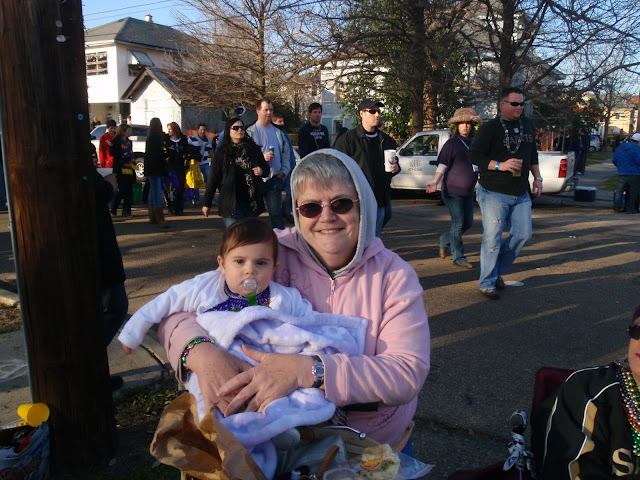 The picture of me at Endymion is with my 7 month old great niece Leighton. 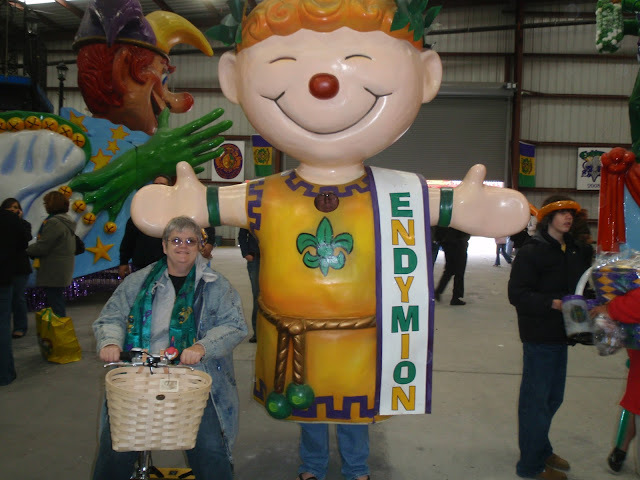 The group of ladies is at the Saints Parade, but the Endymion Figure is at their open house, and the one with me is at the ALLA, etc parades. This picture is from Daniel. What a spectacular view! I was browsing the web and came across a site where you can rent a TravelScoot. That's news to me so I thought you all would want to know too. What's really neat about it is they ship it to your home so you can practice before your trip. If you'd like to read more, their website is at http://www.scootanywhere.com/. 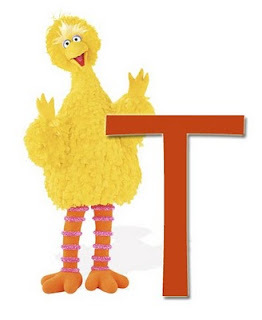 Today at work was brought to you by the letter "T"
Today at work was brought to you by the letter "T" because without my TravelScoot, I wouldn't have been able to make it in. I'm just feeling really grateful today for my lightweight, durable, and fun-to-ride mobility aid. 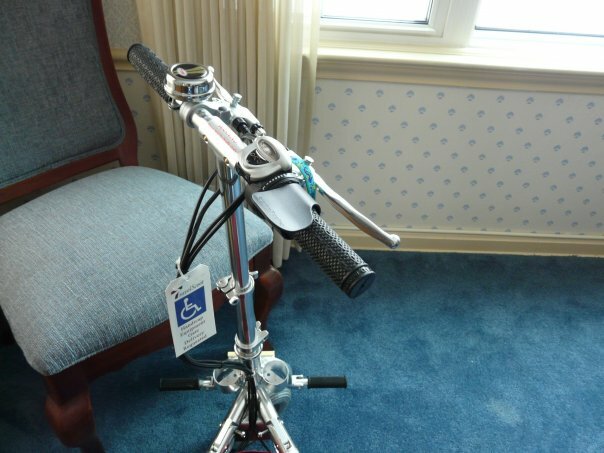 These photos are of the CrampBuster installed on Marlee's TravelScoot. I wanted to share a new gizmo I discovered for the TravelScoot. It is called the CrampBuster (http://www.crampbuster.com/). I have developed tendonitis in my right hand and twisting the throttle is really painful. 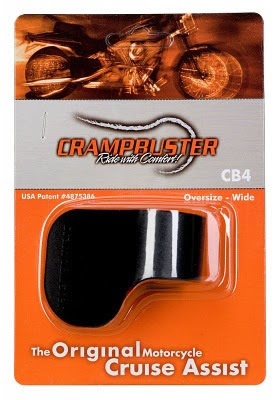 The CrampBuster was developed for motorcycles, but works just perfectly on the Scoot. 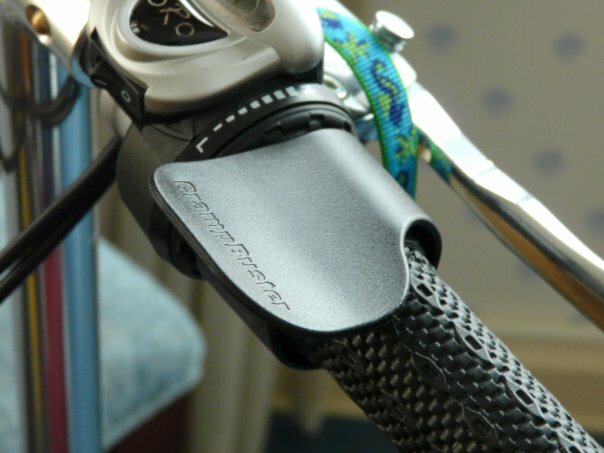 It is, for all intents and purposes, a hand pedal for the throttle which operates with palm pressure. The size I purchased is the CB4 with the large palm rest. You just slide it over the hand rest, and up over the chubby, throttle, and adjust. 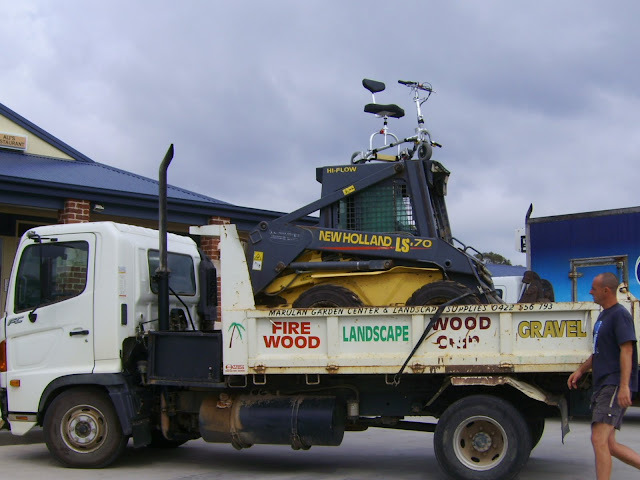 It works perfectly, does not slip and does not impede using the brake. I wish I'd had it all along. Marlee, please take a picture of this installed on your scoot. It sounds like a wonderful addition! 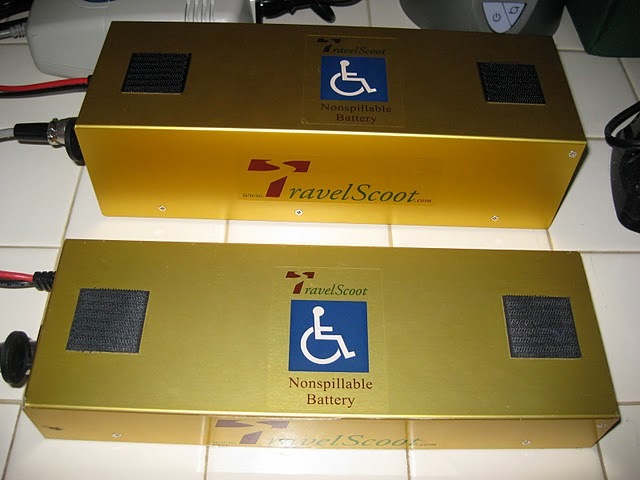 I tried to take my Travel Scoot on a flight on Alaska Airlines last week and was denied boarding due to the litium ion battery. I have the 24 gram battery and was told that the FAA only allows lead acid batteries on mobility devices except for Segways. Anyone else ever have this problem? I looked on the TravelScoot website, at http://travelscoot.com/prices.htm and there are two lithium ion batteries. There is the 9.6 Ah Li-Ion that is approved for air travel and the 18 Ah Li-Ion that is not approved for air travel. The 24 gram one is the smaller battery, which is approved for airline travel. The Department of Transportation rules governing lithium ion batteries on airline flights are at http://safetravel.dot.gov/larger_batt.html . I print a copy of this and take it with me when I fly with my lithium ion battery. Look on pages 7-9 to see the battery regulations. If you go to page 9, regulation 49 CFR 175.10(a) is cited and says (in part), "...For a lithium-ion battery, an aggregate equivalent lithium content of not more than 8 grams per battery, except that up to two batteries with an aggregate equivalent lithium content of more than 8 grams but not more than 25 grams may be carried." "The Transportation Security Administration (TSA) is responsible for the security screening of passengers and their baggage at U.S. airports. For questions about TSA "prohibited items" or other air travel security measures please go to: http://www.tra.gov or contact the TSA Contact Center at: 1-866-289-9673 or TSA-ContactCenter@dhs.gov." I'm getting my scooter soon and am a bit worried about using it on public transportation. I have experience using a heavier scooter and know that the drivers on the Boston buses tend to strap the scooter down using a lot of force. Will that damage the scooter? Any tips on where on the scooter the straps should go? I also will be using the scooter at Disney World and the bus drivers there seem to insist on tying the scooters down with multiple straps whether or not you stay seated on it. I can't wait to get scooting! Thank you all for your input. 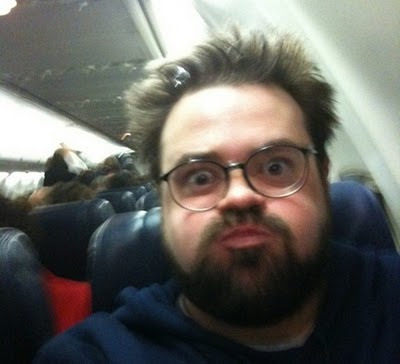 When Southwest Airlines told Kevin Smith to get off their plane, they pushed him to a place where he could not quietly retreat. Listening to Smith rant about his Southwest drama, I nod my head, my heart swells. I feel his pain. When he says he just wants to blend in, that no fat person would choose to draw attention to themself in this way, I silently move to stand behind him as he takes the bullet for both of us. This is about more than one fat man who's been kicked off a plane. 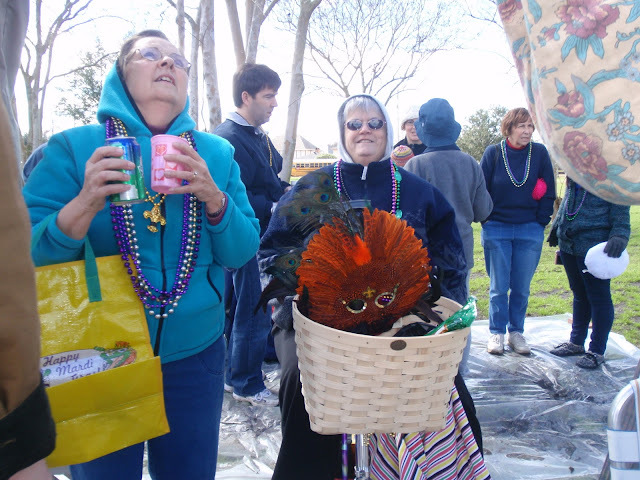 Does a Rosa Parks comparison rankle your feathers? Careful now, you may be repeating history. Imagine yourself in 1955, and put yourself in the mindset of the white majority. The place for a black person was the back of the bus. Who was she to say things should change? Black people weren't allowed to ride unless they sat in their designated spot -- apart from the white folks. Fat people aren't allowed to sit on an airplane just like the average size passengers. They may not be segregated, but they pay twice the fare, or face ejection. Kevin Smith was humiliated. Now he is staring right into the face of his bully. Is it going to take a court order (a boycott, a riot?) to require the airlines to provide seating that accommodates people who are wider than 17 inches? There's a rumbling of posts on the internet asserting that fat people don't have the right to encroach on other passengers. This shouldn't be a turf war over a few inches of seat, it should be about human dignity and how we treat those who are in the minority. Man invented the wheel, combustion engines, flight and airplanes. We've even put a man on the moon. Surely we can devise an equitable solution for airline seating that doesn't involve arbitrary ejection of passengers or doubling fares. The problem is the seats, not the people. Come on Southwest, do the right thing. The first Saturday of the month was a scooter adventure to the Red Stick Farmer's Market with Rhonda, Melissa and Rae. Our first stop was a fun breakfast brought to the table courtesy of my Peterboro basket. 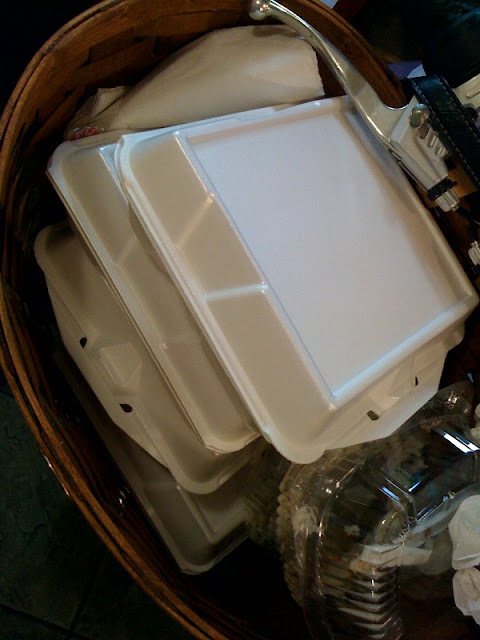 It held 4 boxes of breakfast and all the fixings! I'm impressed and amazed at how much it holds. I've used my several times now for grocery shopping. It's much easier than pulling a grocery cart along and I can usually get what I need in 2 trips to the car. On average it holds about $50, depending on what you're buying. I'd tell y'all what Rae and I bought our nephew Ben at the market, but I don't think it's arrived in D.C. yet and he might be reading. Kay (Ben's mom) recently changed the motor on her scoot and took a bunch of pictures of it. I'll bet if you all give her some encouragement she'll send them to me so I can post them here. What are you all up to with your scoots? I've got some pictures from Daniel in Poland that I need to post, so look for those soon!